You've probably been warned about the "chuck in a truck" when it comes to siding, roofing or painting work on your home. Unfortunately, these types of scammers also exist among HVAC installers. They may not operate in the exact same way as home improvement rip-off artists, but the typical advice for hiring a home improvement contract can also prove useful for selecting a local HVAC vendor. Take a look at these five common mistakes many homeowners make, along with tips on how to avoid them. Some homeowners engage in frantic phone calling or online searching when their HVAC systems develop a fault. They might resort to ringing every listed HVAC company to find one that will come out and perform repairs on short notice. However, that's not an ideal time to shop for your preferred heating and cooling maintenance and repair business. When you're under the gun and stuck with non-functioning equipment, you may not make the effort to carefully vet your options. The timeless adage, "you get what you pay for" is never truer than when you're looking for a service company for household equipment. It's usually the "chuck in a truck" who offers rock-bottom cheap rates for HVAC repairs. He may claim that the reason he can work for such low prices is a "lack of overhead" but the truth is scarier than you might imagine. He may not be properly licensed, possess a physical office space or have a reputation that you can verify by examining online reviews or speaking with references. Addresses and phone numbers should be easy to locate, and most states have a searchable online database to confirm whether your vendor's contractor license is valid. To check up on its indemnity coverage, ask to see written proof for yourself. Furthermore, it doesn't hurt to call the insurance company directly and ask if the company's protection is still in force. Reputation is reflected in how a contractor treats its customers, its dedication to quality work and products and its level of integrity. Be sure to read each vendor's reviews on sites such as Google, Facebook, Yelp! or Angie's List. Moreover, it's vital to obtain references from each vendor. As ENERGY STAR suggested in its tips for hiring a heating and cooling provider, ask every reference about the contractor's performance and whether the work was completed on time and within budget. ENERGY STAR also warns against hiring a vendor without a written proposal for work. It's wise to get a detailed estimate first, but the final contract or proposal should itemize the costs, equipment model numbers, work schedule and warranties on your installation or repair job. As explained by a 2015 Angie's List write-up it's crucial to build a relationship with a reputable vendor that knows your equipment inside and out, provides excellent service and educates you thoroughly about your options. 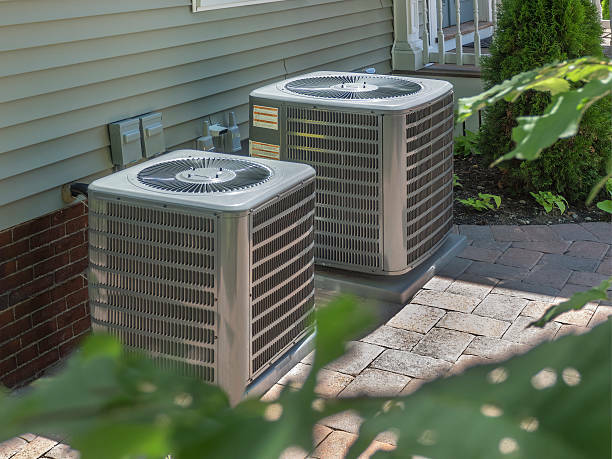 A reliable contractor will also supply you with a detailed written quote to help you understand what work will be done before they begin any work on your heating or cooling units. That's why it's essential to thoroughly research local companies before you hire an HVAC expert.